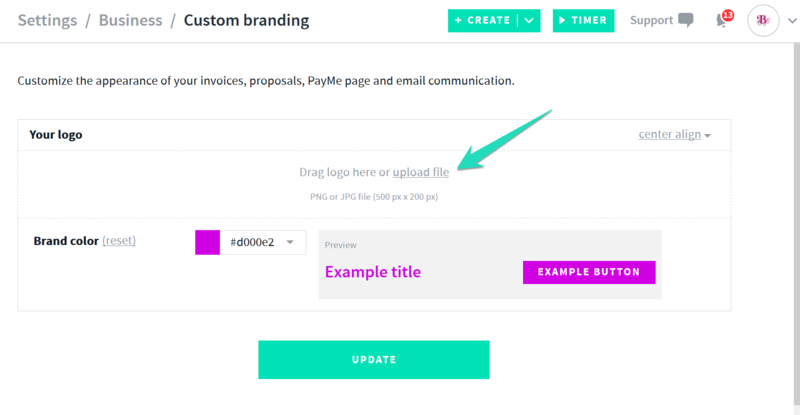 Customize Your Invoice & Add your Logo! 2004 called and they want their boring invoice templates back.📞. 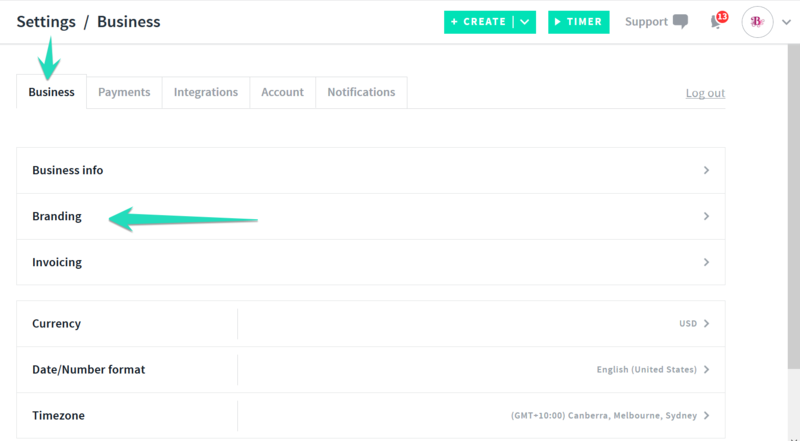 Spruce up your contracts and invoices by uploading your own business logo right in the app via the settings tab! Select > Drag logo here or upload file and choose your file/logo for upload. Once you have uploaded your logo you can adjust the alignment by selecting Center Align > Right Align or > Left Align located to the top right. 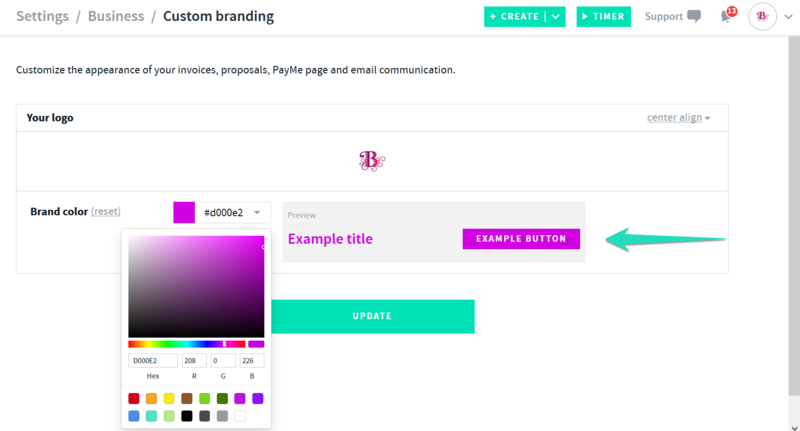 You can also pick a custom brand color and change the appearance of your emails, PayMe Page, and invoices by choosing a custom brand highlight color.